A complete delight for all your senses! Thats what the jungles of Kanha are all about. Tucked away into the Satpura Ranges of Madhya Pradesh, the Kanha National Park sprawls over an extensive area of around 1,945 sq km, out of which 940 sq km makes up for the core area. Declared a national park in the year 1955, the park shelters around 22 species of mammals and more than 175 species of exotic birds, aside from a good variety of reptiles. So, whether you decide to take an elephant ride or a jeep safari into the dense forests, the Kanha National Park is always ready to make your senses keener and visions sharper. The diversified terrain of the Kanha National Park is home to a number of mammalian, avian and reptilian species. Bamboo and sal trees predominate a major portion of the park. First timers need to keep it in mind that they do not miss the smaller inmates of the park while they are on a safari into the park. Though the park offers numerous species to see and photograph, the Swamp deer carry the most marks for their higher density of population. 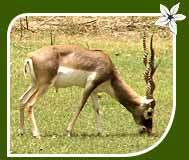 Besides the tigers of Kanha, wildlife fanciers can spot species including four horned antelope, black buck, barking deer, barasingha, hyena, leopard, jungle cat, sambhar, sloth bear and nilgai among others. It is interesting to note that since the time the park was established, the total count of Swamp deer in the park have gone up from a mere 66 to a whooping 400. Not only this, the Kanha National is also known for being home to around 175 exotic species of birds. A good number of migratory birds arrive in the jungle of Kanha during winters. Other resident bird species that one can possibly spot here include racket-tailed drongo, teal, common pochard, crested hawk, magpie robin, long-billed vultures, scavenger vultures, honey buzzard, crested serpent eagle etc. Get to Bamni Dadar, an excellent vantage point in the Kanha National Park. Here, you can feast your eyes upon the impressive views of sunset. 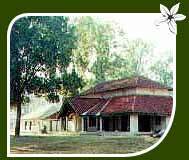 Also visit the Kanha Museum which is a major draw for visitors to the Kanha National Park. Here, apart from being informed of the flora and fauna of the park, you can also have an understanding of the tribal culture of the state of Madhya Pradesh. Those who prefer air-route can first fly to Nagpur (266 km), the closest airport from the Kanha National Park. Tourists can avail of regular flights connecting to places like Delhi, Mumbai, Raipur and Kolkata. Jabalpur (175 km) and Gondia (125 km) are two convenient and closely located railway stations from the national park. 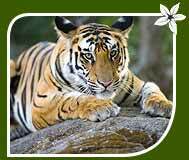 By road, the Kanha National Park is accessible from places like Jabalpur (175 km), Khajuraho (445 km), Nagpur (266 km), Bandhavgarh (210 km), Raipur (219 km) etc. Tourists can easily find jungle lodges and resorts in the national park. These resorts attend to the needs of wildlife lovers and holidaymakers with all the basic amenities, keeping you close to the wildlife inmates of the park at the same time.